Spring is no longer in the air! Summer is here, and it’s fresher than ever. We love the warm air and the fully bloomed flowers. Luckily, summer means (for the most part) flowers are done blooming, and allergens no longer ravage the air. However, those pesky particles may be stuck in your home’s fibers and may still cause you and your family some trouble. Instead of sneezing all summer, call us at Super Klean for upholstery cleaning in Casper to get rid of the allergen particles once and for all… for this year at least. Think about the places you hang out most at home. Is it the bedroom, the family room, the basement? If you’re like most people we know, you probably spend most of your time where there is comfortable furniture. When we speak of upholstery cleaning, we mostly speak of cloth furniture. These materials have many fibers strung together, which makes it very comfortable to the touch. 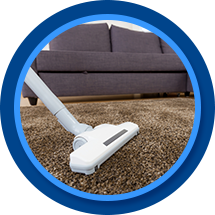 However, that means there are many miniscule places allergen particles can hide within the furniture. If you don’t take advantage of professional upholstery cleaning, you’ll continue to sit in the festering allergens. Moreover, we’ll clean the mattress, too, so you don’t have to wake up with clogged sinuses because you’re sleeping on an allergy-packed bed. Upholstery cleaning does more than clean the surface. The cleansers we use can penetrate the surface to successfully eliminate the dust and particles that are not welcome. Give us a call today to schedule your end-of-spring upholstery cleaning.